Samsung Electronics and Swiss luxury jeweler de Grisogono have agreed to jointly launch a so-called “super-luxury” limited edition of the Samsung Gear S3, a next-generation smartwatch that is set for official release later this year. “We are currently collaborating with Samsung to develop its next-generation smartwatch,” a de Grisogono official told The Korea Herald at the Conde Nast International Luxury Conference held in Seoul last week. The official added that the jeweler was approached by Samsung, which viewed de Grisogono as a fitting partner to lead its foray into the ultra-luxury accessories market. The Swiss jeweler is working with the South Korean electronics giant for the second time. The limited edition Samsung Gear S2 released last month was their first project together. 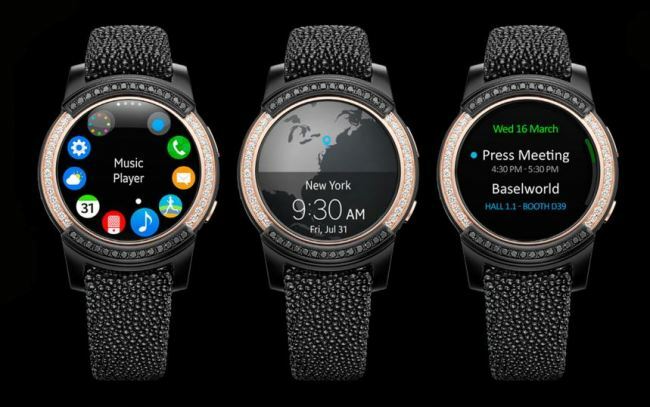 Industry watchers say the limited edition luxury Gear S3 smartwatch will most likely debut at Baselworld 2017 in March next year, following the planned launch of the original Gear S3 at IFA 2016 in Germany this September. Plans for the newest Gear G3 comes on the heels of a successful co-launch of the diamond-studded Samsung Gear S2 last month. 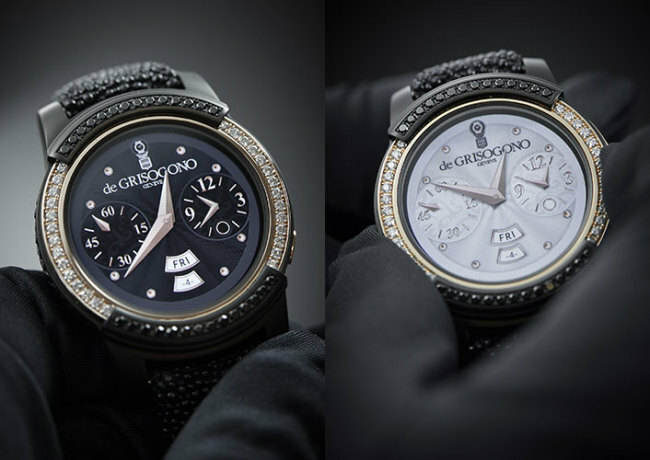 The $15,000 limited edition Samsung Gear S2 has been immensely popular among the international superrich, according to the de Grisogono official, who revealed that about 100 units are handcrafted and built every month. The blinged-up Gear S2 boasts more than 100 black and white diamonds, a rose gold bezel and the Swiss watchmaker’s signature black galuchat strap. It was officially unveiled last month at Baselworld 2016, an international watch and jewelry trade show held annually in Basel, Switzerland. In launching its first luxury smartwatch, Samsung officially joined a slew of big-name tech firms including Apple, Intel, Google, Sony and LG Electronics which have partnered with prestigious watchmakers to introduce exclusive, ultra high-end wearable devices to luxury consumers around the world. “The combination of style and substance is inherent in every Samsung device,” executive vice president of global marketing at Samsung Electronics’ mobile communications business Lee Young-hee said in announcing the launch of the super-luxury Gear S2 last month.